Before you can visit the palace, you first need to make it to the island. 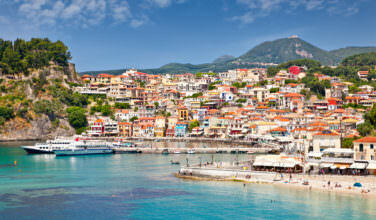 Since Corfu is a busy island, you can either arrive her by airplane or by ferry. The regional airport on Corfu makes regular flights from Athens and also from other locations in Europe. 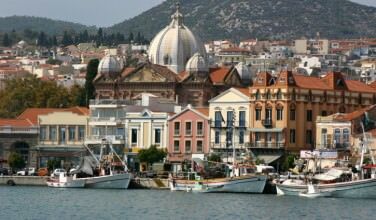 You can also take a ferry to Corfu from several places throughout Greece. 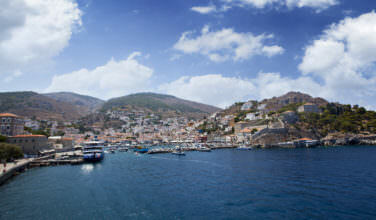 You can easily reach it from Patra island as well as some others. You’ll need to check the schedules to make sure the ferry routes are doable for your travel schedule. 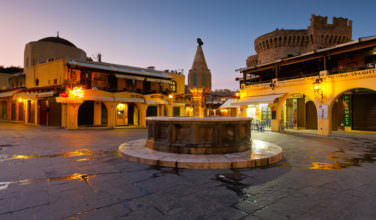 Once you arrive on the island, you will want to make your way to your hotel and then eventually find a way to get to the palace. Since it was meant for royalty, it is a bit tucked away so that they could some privacy while on holiday. As mentioned above, the palace belonged to the Empress Elisabeth who used it as her summer home. Legend has it that Elisabeth was completely obsessed with beautiful things, and the island of Corfu definitely enchanted her. Because of this, she had the palace created for her. However, the land where the palace resides was previously owned by another. Elisabeth’s husband bought it for her and the famous architect Raffaele Caritto designed and built the palace to her specifications. While visiting Corfu, it’s possible spend time at the Achilleion Palace. It is located near the village of Gastouri, and depending where you’re staying on the island, you may need to rent a car to drive here yourself. However, you can ask at your hotel for details on how to get here. The castle is perched at the end of a long, winding road and seems to stand itself apart from the rest of the homes in the village. While at the castle you can walk through the grounds and take a tour. You also won’t want to forget to bring your camera! Keep in mind that you can easily spend the day here enjoying the village, the castle itself, and the grounds. 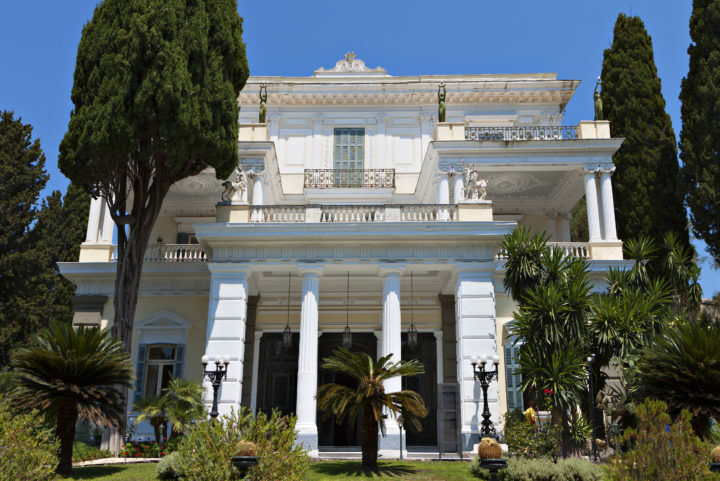 While on the island of Corfu, you will want to take some time to visit the Achilleion Palace, which was the home of Empress Elisabeth, or Sisi. Although it is no longer inhabited by royalty, this is still an impressive place that is absolutely worth your time.